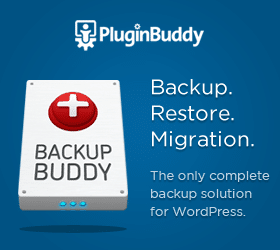 Premium Themes - Do You Need a Premium WordPress Theme? Getting your WordPress blog up and running is relatively easy but where many people get bogged down is choosing a theme. 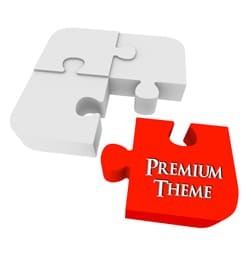 There are thousands of free themes to choose from so why do you need a premium theme? With premium themes, not only do you – usually – get a higher-quality, better written theme, but they also come with support you won’t find in the free versions. User forums, help desks, and extensive documentation are all a part of the premium theme landscape, where with free themes, you’re most likely on your own if you run into a problem. With all the free themes available, you might be asking yourself, why would I pay $25 or $50 or even $100 on a so-called premium theme? Certainly there are some beautifully designed free themes available, and with a little knowledge of CSS, even a beginner can tweak a theme to make it unique. They all have a price tag; it just isn’t expressed in dollars and cents. Instead, the price of a free theme is in backlinks. Backlinks are critical to SEO (search engine optimization) and when you see WordPress themes offered for free, they almost always contain links in the footer that you are required – according to the license – to keep. Web designers looking to build their portfolio and drive traffic to their site might build a theme and offer it for free, provided you keep the link back to their site intact. That’s a pretty reasonable price to pay if the theme fits with your site. But beware of who is behind the free theme. It might not be a friendly web designer. It might be an unscrupulous spammer trying to link to sites you wouldn’t want to visit if you know what I mean! Google might even blacklist you and that would be a terrible cost to pay. WordPress is constantly updating and your free theme (or even some inexpensive paid themes) can have a conflict resulting in parts that don’t work or don’t look right. If the developer of the theme is no longer around, you are pretty much out of luck unless you want to pay someone to fix it for you. are developed by Studio Press. They have a core theme framework called Genesis. Think of a framework as being the part of your house behind the walls–the studs, pipes, insulation, etc. Then they have “child” themes that add the design or the look and feel of the site like furniture, paint, draperies, flooring, etc. Most of the child themes require some knowledge of theme coding (css, functions) if you want to change them. It’s not hard and searching their support forum and tutorials will usually reveal the answer. If getting your hands dirty in the code is something you avoid like the plague, then choose a child theme that matches the look and feel you want or choose one like Prose which has a design admin area within WordPress. It looks kind of plain on their website, but you can do a lot with it. For example author, Cindy Bradford’s blog is using the Prose theme. Another bonus of working with Studio Press themes is that they have a variety of plugins available to make customizing your site easier. You’ll find custom sliders, social media plugins, custom sidebars and more. A list of the Studio Press plugins is on their website. No other premium theme has developed plugins to enhance user experience, so this is definitely a selling point. 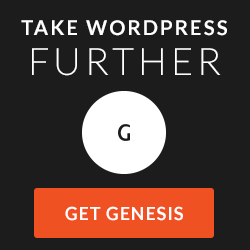 When you purchase Genesis and a child theme, you can use it on as many websites as you want. You can even sell the site to someone else. The buyer, however, will need their own license if they want support in the future. Downloads for Genesis and all child themes are accessed inside the support forum which is available only for license holders. If you find yourself starting to build websites for others, you’ll probably want to get their Pro Plus All-Theme package which includes all the child themes they develop now and in the future. I am so glad that I did this in the beginning as I feel free to choose whichever child theme fits my purpose without worrying about extra cost. Another cool feature of the Studio Press website is the Showcase of sites where you can browse through pages and pages of sites built on the Genesis framework. If a site used a child theme, it will be identified. This showcase gives you great ideas for your own site. You can see a mini-showcase of websites that I’ve built for myself and clients at Christine Cobb Marketing, many of which were built on the Genesis framework. If you are thinking about using Studio Press and have questions, please ask them in the comments section or fill out my contact form. I’m glad to help. Appreciated what you had to say. Prose does not look like it would work for me – too much like a blog. Yet I am concerned that using a premium theme, with the help of a designer initially, will leave me out in the cold when it comes to making changes? Ie, would I be able to add a contact page myself using gravity forms? what about adding additional pages for different forms? I am so confused. Every designer I speak with has their own ideas and make me feel more and stupid by the day. The great thing about the Studio Press themes is that you can practically make them look like anything you want. For example, look at a few sites using the Prose theme at http://www.studiopress.com/theme/prose. Some look like blogs and some don’t. And the great thing about WordPress is that once your site is designed, you can do a lot of things yourself. You can absolutely add a page and put a gravity form on it because the new page will automatically carry through the design of the site. As with any software, there is a learning curve to WordPress but it is so popular that there are lots of tutorials out there to learn any aspect of it. WordPress makes creating a blog very easy and inexpensive. “But beware of who is behind the free theme” it is true christine? so what should i do? Absolutely beware of free themes. 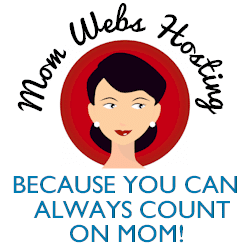 Check the WordPress directory on a regular basis to make sure that it is still listed.